Our first stop was Moon Point. Last year we spent the whole day at Moon Point (see Moon Point Melting Out), so this trip, we were only heading to the upper part of the Youngs Rock trail, which is easier to access from the top. With thousands of plants to photograph, one must be as efficient as possible! On the way to the trail intersection, I went poking around looking for the rare green-flowered ginger (Asarum wagneri), one of Gerry’s targets last year. I was surprised to find several still in bloom and was thrilled to find a couple of ripe seeds. The common long-tailed ginger (A. caudatum) was also still displaying flowers, and I found plenty of ripe seed. 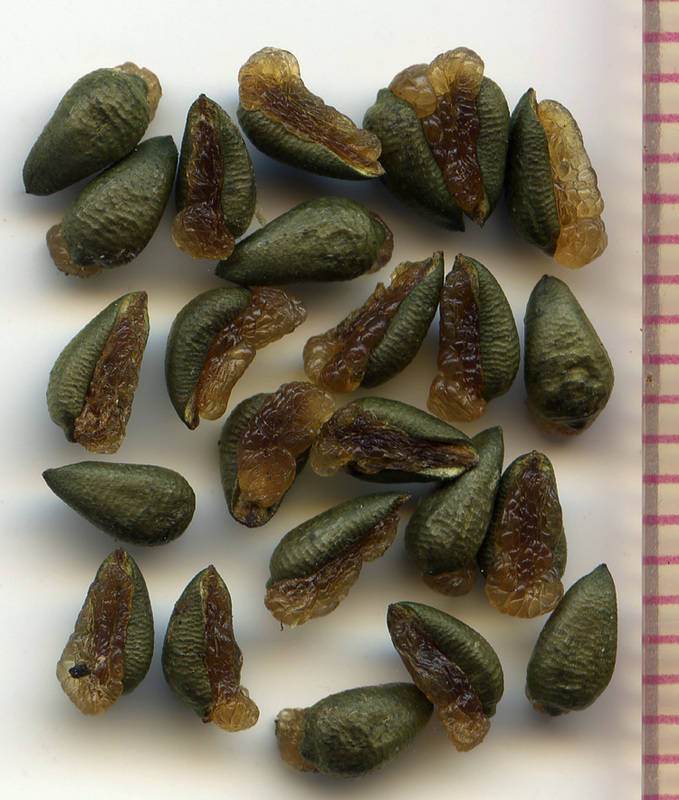 I’ve posted scans of the latter in the Seed Gallery or you can click here to see the neat fleshy appendages on the seeds. While I was searching for ginger seeds, Gerry discovered his first target plant of the day, mountain campion (Silene bernardina var. rigidula). This is a rare species I’ve only seen here, at nearby Groundhog Mountain, and at Abbott Butte. 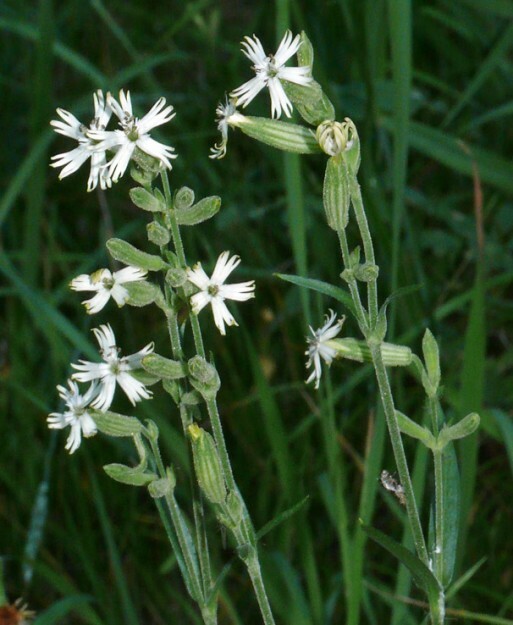 Silene species are often called catchfly and, indeed, these are sticky enough to catch insects. We photographed some really nice specimens in the shade just after the split in the trails. It was a good thing we did it then because on our way back they were in the sun and had shriveled up. I’ve noticed this with the fairly common Douglas’ campion (S. douglasii). They seem to look their best on cloudy days or first thing in the morning. Not sure why this is true, but I’m sure there’s a good explanation. 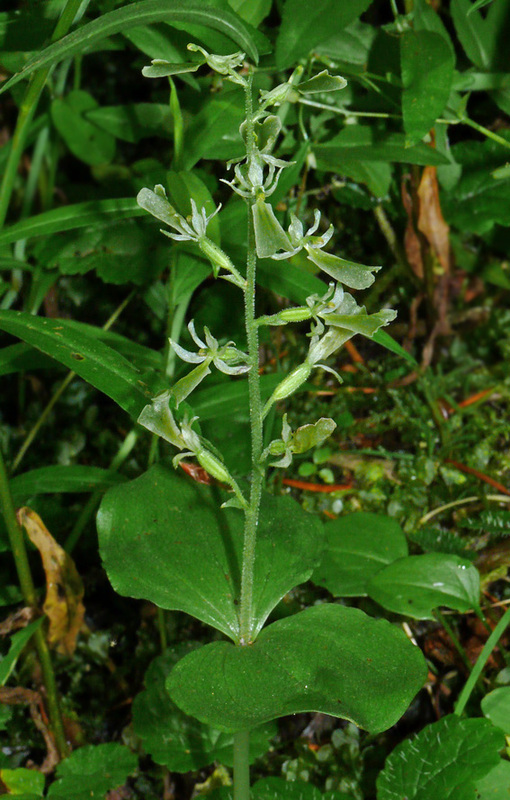 Broad-lipped twayblade is a rather inconpsicuous orchid with translucent flowers. Our destination on the Youngs Rock trail was the uppermost creek. Unlike the portion of trail below the imposing rock itself, the upper part of the trail is mostly wooded and is crossed by several creeks. Several years back, I had been very surprised to come across a large population of broad-lipped twayblade (Listera convallarioides), growing right beside the trail where the creek overflowed. At the time, this species was pretty new to me. I have found many populations since then, but it is still special to me. Unlike the two more common twayblades (L. caurina and L. cordata), it likes having its feet in water. It didn’t take too long to find the creek and some twayblade, but the first plants were already finishing. After some more searching, we found several patches of fresh flowers on the downhill section of the creek and spent a while trying to get good photos without squishing any of the little plants. Yay! So far we were two for two. We also saw one blooming leopard lily (Lilium pardalinum), a rare lily that also grows in a wetland near the beginning of the Moon Point trail, and a gorgeous pair of phantom orchids (Cephalanthera austiniae), so it was well worth the trip down, despite having to go uphill on the way back. The unusual bedstraw (Orobanche sp.) 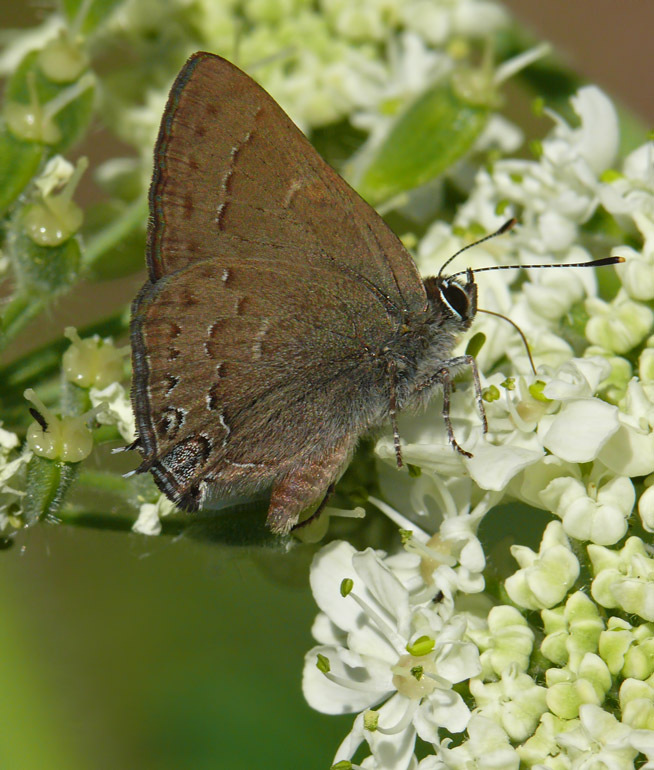 is parasitic on Galium oreganum. The inset photo (from the Calapooyas) shows the ovary with a red nectary and the persistent dried flower. Several days after this trip, while up in the Calapooyas with my husband, I came across more of these in fading bloom. I took a couple of seed capsules, to see if the seeds might be different from O. uniflora or fasciculata, which I’d already collected, and there was the bright red spot that is mentioned. The California Floristic Province transitions to the Northern Floristic Province in Lane County, so it makes sense I’ve never seen this plant farther north. I hope someday someone comes up with a good name for this species, as I believe it is a different taxon from the other two. 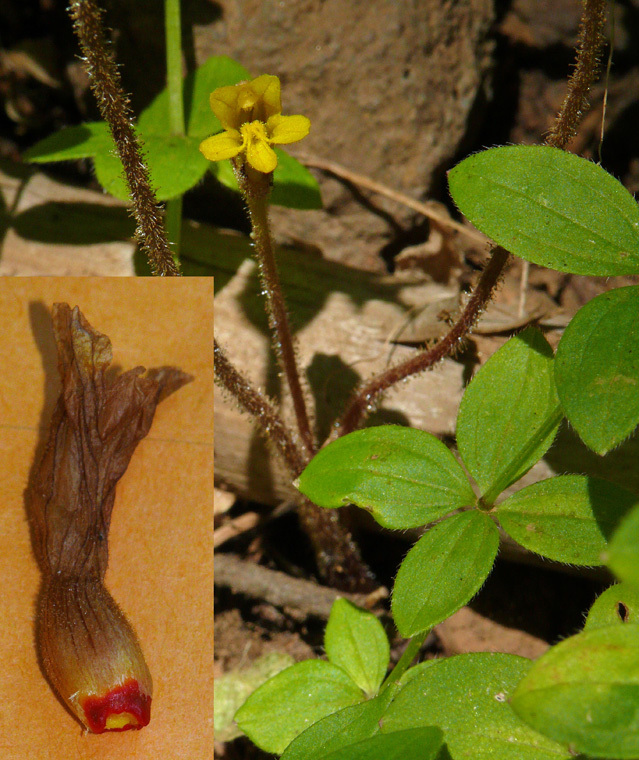 While other plants tend to speciate from geographical isolation, these parasitic plants seem to split when they find a new host species. This one grows in a completely different habitat than the two similar species. And although this is yellow-flowered like our pale yellow O. fasciculata, it has rounded lobes like O. uniflora. Unfortunately, the seeds all look very similar, like tiny Castilleja seeds with a mesh wrapping. I haven’t scanned them because they are too small for my scanner. Nodding arnica (Arnica parryi) has no ray florets. Another of Gerry’s target species was nodding arnica (Arnica parryi). It’s one of two discoid arnicas in the Cascades (to tell these two apart see Rayless Arnicas). 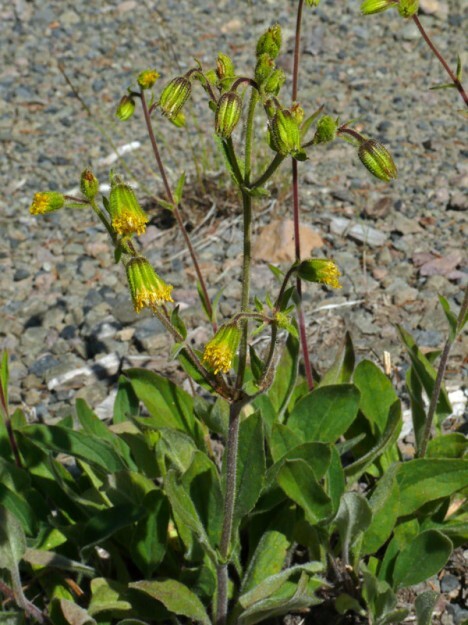 I’d seen it blooming along the west side of Groundhog Mountain in late summer. Since it was only five miles away (all gravel, however), we headed over there. After some quick stops elsewhere in the area, we walked down Road 451 to look for the arnica. There were a lot more butterflies over here, so I split my focus between plants and butterflies. We had a good view of the fire still burning on Buckhead Mountain by Westfir. I hope it doesn’t do too much damage to the summit where there are some interesting rock plants. I was getting a wee bit worried that the arnica might be farther down the road than I thought. But suddenly, there it was in front of us, and it was quite fresh. Some plants farther down the road hadn’t even started blooming. It looked like our timing was perfect, for if we had done this trip any later, we would have missed the twayblade. I also showed Gerry a tall rockcress (Boechera formerly Arabis spp.) I had been wondering about for a few years. He brought some home and keyed it out to Boechera pratincola, a very rare species! Groundhog never fails to surprise me. I wish we’d had more time to keep exploring, but having succeeded in finding all our target species and even more, it was a very satisfying day. Thanks for another great outing and for nudging me along toward my impossible goal.